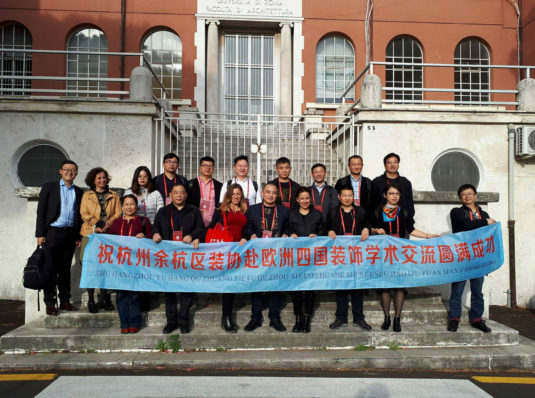 On the 30th of October 2017, the director Benedetta Gargiulo Morelli of NOS Design Architecture & Interior Design Co. Ltd. & founder of ITAD Architecture and Interior Design Association, together with the director Silvia Ronzoni of Asiapromotion, hosted the official academic and professional B2B conference for a special Chinese delegation made up Chairman of the Board and Managers coming from 13 key interior design and decoration companies coming from Hangzhou and the Zhejiang Province in east China. 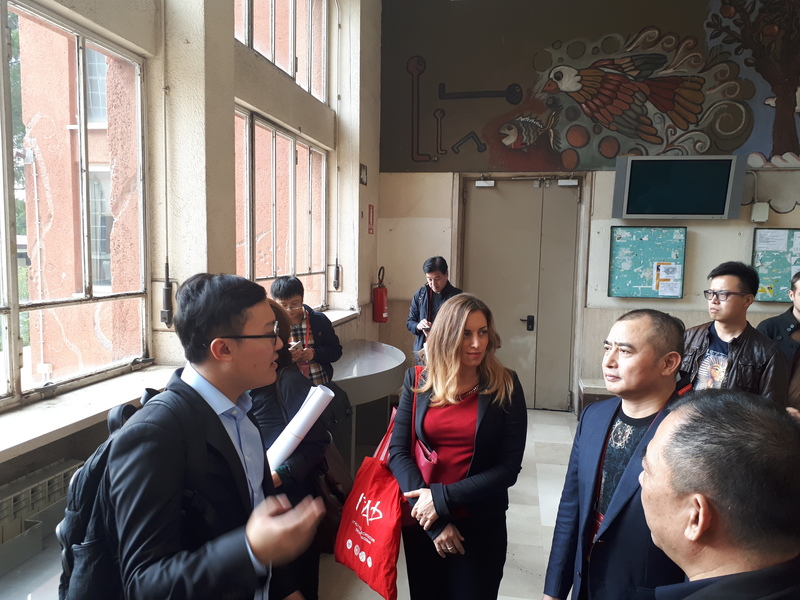 The meeting took place in the Department of Architecture “Valle Giulia”, University “La Sapienza” of Rome, also with the significant presence of Professor Simona Salvo, expert in historic architecture preservation and conservation. During the discussion, Benedetta Gargiulo Morelli gave a lecture on the work, approach and philosophy of NOS Design in relation to the R&D of the materials and decoration techniques applied in her projects. 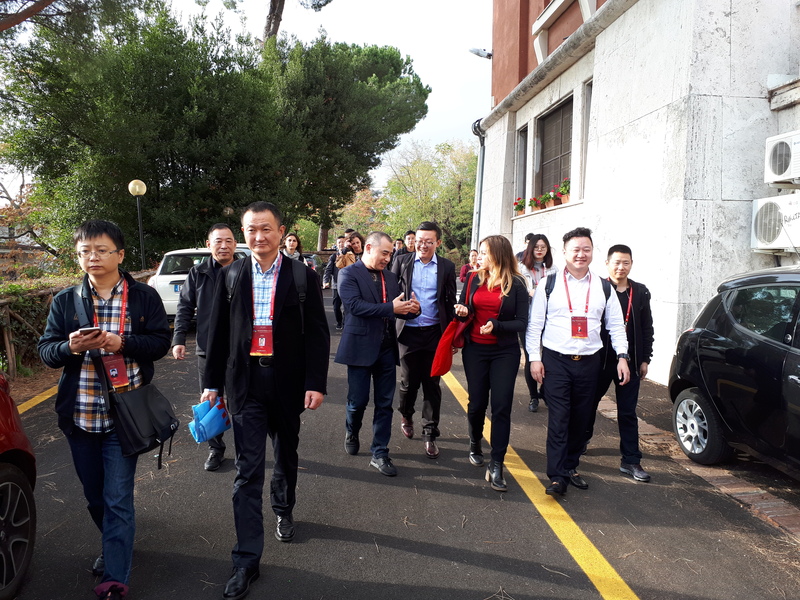 The Chinese guests were pleased to get more familiar with the authentic “Made in Italy” interior and design approach. A long debate followed on how to implement these techniques in Chinese interior design projects and how to implement conservation and preservation aspects within the design process. Benedetta Gargiulo Morelli stated that “The new luxury in architecture and interior design is to revitalize the historical and artistic patronage of the site, bringing back alive the soul of the site and implement handicrafts the decoration process throughout the design process.” and Chairman of the Board Feng Fuliang of Zhejiang Tagold Decoration Engineering Co., Ltd. agreed that “Chinese architecture and interior design is moving towards this trend: conserving the decoration styles and respecting history. 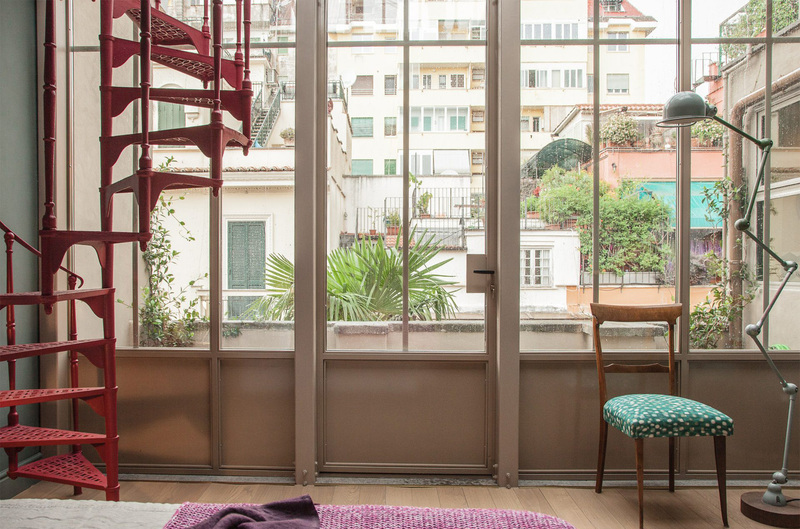 It is important not to fall within the new commercial repetition approach which has become the solution to all projects and is wiping out history, handicrafts and the soul of the place”. 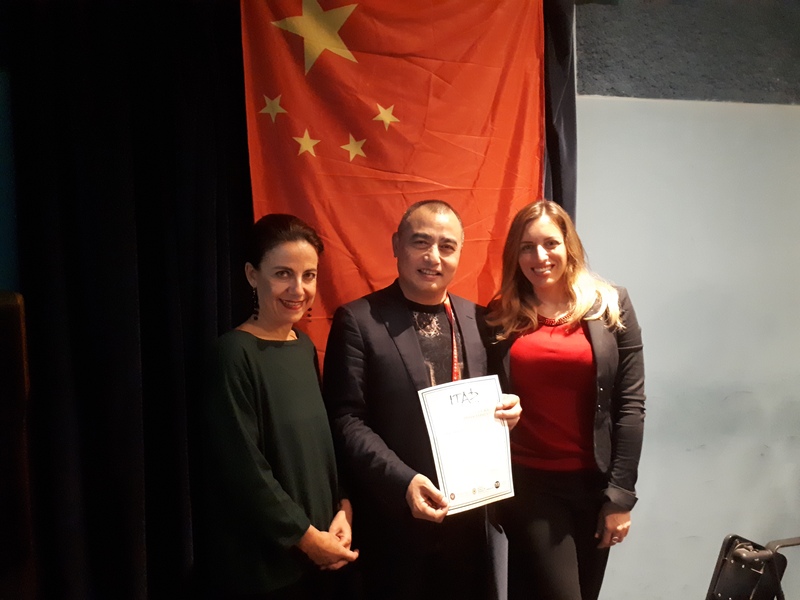 At the end of the meeting, all the key representatives received a certificate of attendance from Benedetta Gargiulo Morelli and the delegation was shown the University of Sapienza’s Department of Architecture and their curriculum and approach in education. A further meeting between the companies will take place in Hangzhou has been scheduled for 2018 to seek ways of collaborating between NOS Design and the Chinese manufacturing companies. The Chinese delegation included key companies such as Zhejiang Tagold Decoration Engineering Co. Ltd; Zheijiang Carnival Decoration Engineering Co. Ltd; Hangzhou Jinteng Decoration Engineering Co. Ltd; Hangzhou Huipeng Decoration Engineering Co. Ltd; Zhejiang Yichao Decoration Engineering Co. Ltd.; Hangzhou Hutian Construction Co. Ltd.; Hangzhou Wanheng Construction Co. Ltd.; Hangzhou Tianlong Decoration Engineering Co. LTd.; Hangzhou Yuhang Jiangnan Decorative Plaza European Decorative materials firm Co. Ltd.; Feikuo Holding Group Co. Ltd; Zhejiang Gongli Construction Co. Ltd.; Hangzhou Jinshan Decoration Engineering Co. Ltd.; Hangzhou Dongdao Trading Co.,Ltd.